FOOTBALLERS ARE A UNIQUE BREED unlike any other in professional sports today. Disparity derives from regional and sociocultural influences and their impact on methods of preparation, overall style of play, and most importantly, the pride shown when representing one’s country on the world’s biggest stages. Diversifying lifestyles and cultural tribalism grant the freedom to be expressive on the pitch and, ultimately, separate oneself from the pack to perform in ways that are seldom replicated anywhere else in the world. Football is the world’s universally shared language and no matter how much evolution occurs – on and off the pitch – this shall stand the test of time. Yet the romanticising about the beautiful game stems from our right to play freely and proudly embrace certain stereotypes associated with our homeland – including Italians and mastering the artform that is defending. Italy’s beautiful, illustrious art history dates back to the 14th century where the Italian Renaissance era became the fabric of their culture we see today. Centuries on after Michelangelo’s Creation of Adam at the Vatican, and Leonardo Da Vinci’s rendition of The Last Supper, these early art influences – in some ways and to a lesser degree – seem to have left an imprint on a football culture now synonymous with a defensive style unrivalled around the world. 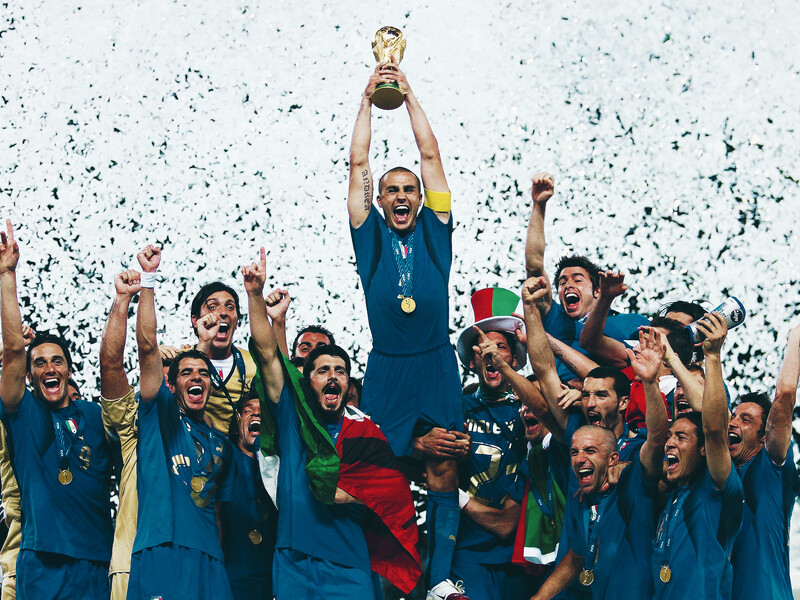 For decades, defending has been the cornerstone of each and every era of Italian dominance in the sport, dating back to the early 1930s where the Azzurri first stood atop the podium as royalty with their first of four World Cup victories. Progressively throughout the country’s history, a myriad of upper-class defenders have come, one by one, eventually passing the torch onto one disciple after the other. Its illumination has led the way for future generations, keeping the bloodline alive and well. The 1950s and 60s belonged to pillars like Giovanni Trapattoni, Tarcisio Burgnich and the late Cesare Maldini; loyalty and admirable in all their glory. Years later, Calcio’s golden eras of the 1980s and 90s blessed us with the iconic Gaetano Scirea, and AC Milan’s bandiera, Franco Baresi. 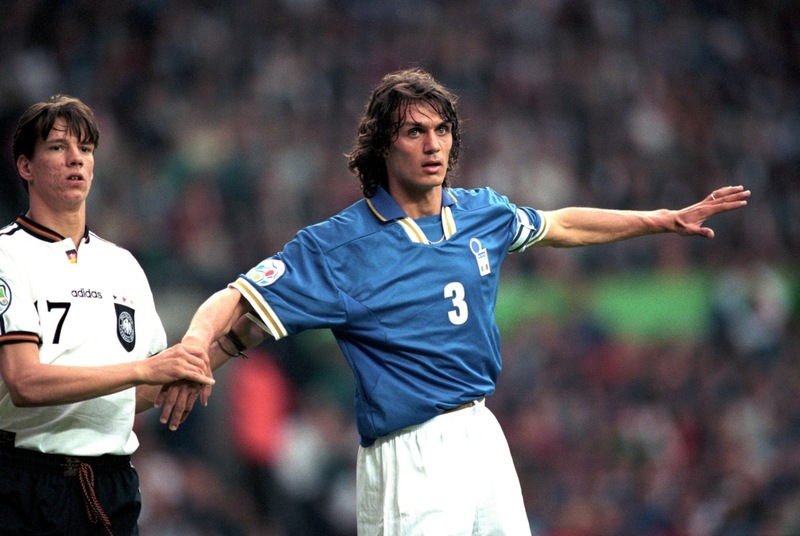 Under the mentorship of Baresi followed the apprentice, Paolo Maldini, inheriting a stainless crown, wearing it with grace and honour over a long, fairytale-like career all spent in the red and black shirt. Then, the ever-dominant Fabio Cannavaro translated domestic success into international glory. Captaining Italy to a memorable 2006 World Cup victory in Germany, the small-statured Neapolitan beat Gianluigi Buffon and Thierry Henry for the coveted Ballon d’Or award, verifying his superiority in the end. Clear for everyone to witness is the unequalled lineage of legends, but one stood out amongst the rest, for this individual’s defensive style epitomises fine art. Hailing from Rome, Alessandro Nesta grew up immersed in one of European football’s most intense rivalries between Roma and Lazio. Chosen wisely are the colours in the capital, for your affiliation looms large and follows you until your last breath. In 1985, although approached by Roma scout Francesco Rocca, Alessandro’s father rejected the Giallorosso on his behalf, ensuring the young defender assumed the same love for the sky blue when signing on with Lazio at the age of nine. As a youngster, Nesta was tested in various roles, from striker to midfielder, but eventually found his calling further from goal, transitioning into a defender for the Bianconcelesti – a move backed by pure destiny. Though he was handed his senior debut under Dino Zoff with the Roman outfit on 13 March 1994 versus Udinese, it wasn’t until Nesta’s sophomore campaign that he’d truly blossom into the iconic defender we came to know. Blending the physical, technical and mental means, the Roman’s wherewithal to read the game and execute calculated passes with the utmost confidence saw him assume captaincy in 1997 under manager Sven-Göran Eriksson. With every passing year, Sandro’s craft was chiselled to perfection like a master sculptor. A staunch defender with an imposing physical presence, his positional intelligence to thrive in both zonal and tight-marking scenarios casted him as a tactician’s dream for he was suitable in any form. Boasting the brutish means to engage in the occasional challenges and cut down any hint of danger would be enough to slide into any European powerhouse, but it was Nesta’s acquired technical traits under Zeman that would soon set him apart from the rest. One’s trophy case and individual accolades – oftentimes – unfairly distorts the public’s perception of how revered a footballer truly was, and the success they enjoyed, but that was not the case with Nesta; a cabinet stacked to the brim with individual and team achievements will last a generation. Following the 1998/99 campaign in which Lazio fell short of the coveted Scudetto by one point on the final matchday to victors Internazionale, President Sergio Cragnotti’s bolstered Eagles were taken under Nesta’s wing the following year, soaring to a domestic double with a star-studded cast including Diego Simeone, Juan Sebastián Verón, Pavel Nedvěd and Roberto Mancini. 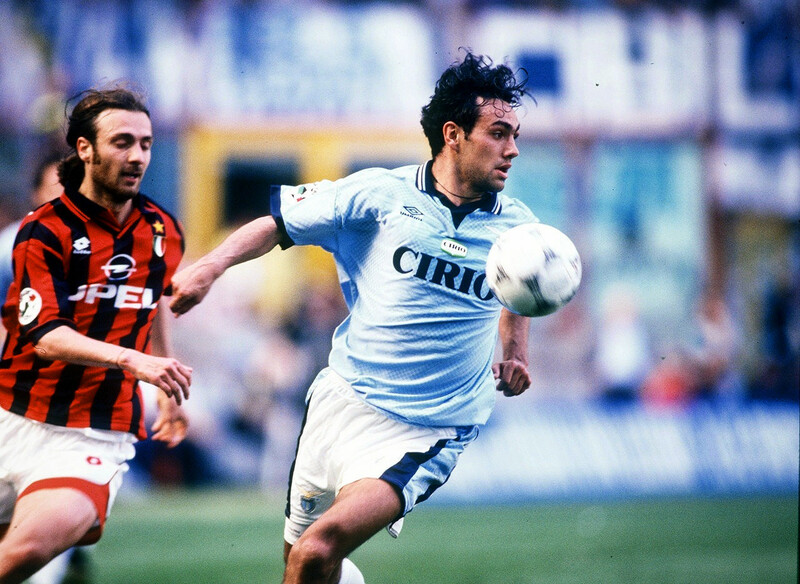 Two years after a triumphant victory, financial misfortunes forced Cragnotti to sell his top attractions; Nesta being the main one, for his loyalty was forever engrained in the hearts of the faithful Laziale. AC Milan president Silvio Berlusconi wasn’t playing around in building another dynasty, coughing up an estimated €30 million for the long-haired Italian who would all but solidify one of world football’s impenetrable defensive lines. Captain Paolo Maldini, two-time World Cup winner for Brazil, Cafu, Alessandro Costacurta, and tenacious Dutchman Jaap Stam ensured manager Carlo Ancelotti and his powerful Milan would win both the Coppa Italia and a sixth Champions League trophy over rivals Juventus in stunning fashion at Old Trafford. Nesta’s decade in red and black was nothing short of remarkable, as he would go on to hoist two Scudetti, win his second Champions League trophy in 2007 in sweet revenge over Liverpool, and tally more appearances (224) than he did with his boyhood club. Although a series of injuries began to limit his play on the pitch, instinctiveness and understanding of the game saw him age like a fine wine, playing a major role until his final days in rossonero. Nesta’s exit was one of many bittersweet send-offs in 2012, as the old guard of Clarence Seedorf, Pippo Inzaghi, Gennaro Gattuso and Andrea Pirlo all moved on to pastures new in their respective football careers. Months later, Nesta headed to North America, joining Major League Soccer’s Montreal Impact in his late-30s where he’d spend 18 months before his final bow in India at Chennaiyin FC after fellow World Cup winner Marco Materazzi’s recruitment. Unlike at the domestic level where four consecutive Serie A Defender of the Year awards (2000 to 2004) bespoke dominance and longevity, Nesta endured his share of international shortcomings with Italy due largely to lingering injuries, which limited his contributions to Marcello Lippi’s famous 2006 World Cup win over France in Germany. Since retiring from the game, Nesta’s applied his astuteness and polished defensive trade towards his current managerial role with Miami FC., teaching the art of defending after decades of practicing it. For years, the term Catenaccio brought about obvious results, but over time, unfairly stereotyped the Italian game as a whole, wearing an erroneous persona as a no-nonsense, rugged brand of football. Though it was embraced by many, as the early-90s showed us, calcio had no shortage of flair and creativity. Artisti are perfectionists; meticulous down to the very last stroke of the brush and insistent on creating a signature style impossible to mimic; Nesta was no different, just ask Barcelona’s Lionel Messi who, to this day, is still left wondering how a 36-year-old tracked him, pulled off one of his signature, flawlessly-timed tackles in the penalty area, and supplied the Camp Nou one of his final lessons in Defending 101. But that was typical of Alessandro Nesta: graceful, elegant and a virtuoso until the very end.